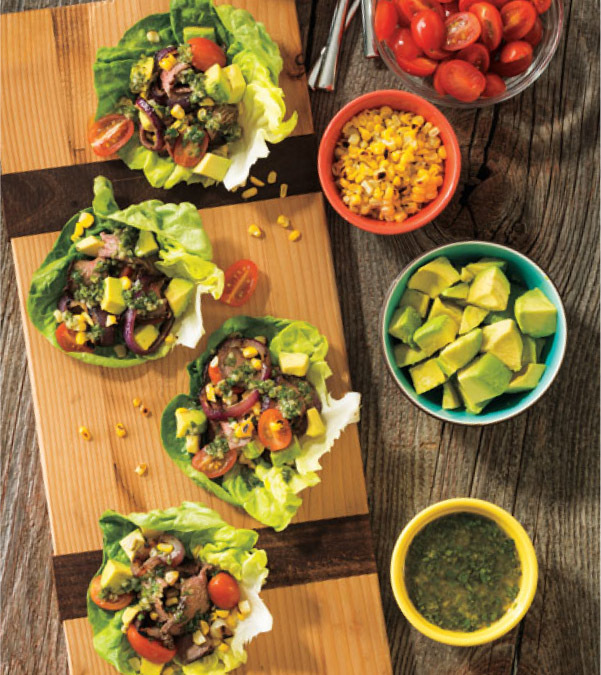 3.Prepare Lettuce Wraps: Coat steak, corn and onion with oil; sprinkle with steak seasoning. Place steak, corn and onion on hot grill rack. Cook corn and onion 3 to 5 minutes, turning frequently to brown all sides or until lightly charred; transfer to cutting board. Cook steak 10 to 12 minutes or until internal temperature reaches 145° for medium doneness, turning once halfway through cooking. Transfer steak to cutting board and loosely cover with aluminum foil; let stand 5 minutes.